NEW YORK — In China, Zhang Youtian does not carry cash or credit cards. Instead, he pays for everything using the Alipay and WeChat Pay apps on his smartphone. When he heard that merchants in New York, where he has lived for seven years, were adopting those forms of payment, the recent college graduate was excited. That convenience has made Alipay, run by Ant Financial Services Group, an affiliate of Alibaba Group Holding, and WeChat Pay, run by Tencent Holdings, the two most popular forms of mobile payment in China. The apps have 540 million and 650 million users, respectively, and control more than 92% of the Chinese market. Nearly half of China’s smartphone users are expected to make payments on these apps by 2020, making the country an increasingly cashless society. Now, Ant Financial and Tencent are looking to achieve similar success internationally. Earlier this year, both companies inked deals with payment processors that enable merchants to accept payments across North America and in parts of Europe and Southeast Asia. Chinese students, who account for the largest proportion of international students in the U.S., are one target of the rollout. An even bigger target is Chinese tourists, who are the largest spenders worldwide. Nearly 3 million traveled to the U.S. in 2016, placing China fifth in terms of visitor arrivals after Canada, Mexico, the U.K., and Japan. However, the Chinese spent $33 billion — more than visitors from any other country. Alipay and WeChat Pay work with authorized payment partners in overseas markets. In the U.S., these include Verifone, Stripe and Citcon — a Chinese-funded Silicon Valley payments startup — which provide merchants with a device that can connect to customers’ smartphones to deduct payments from their app accounts. Chinese consumers pay in yuan via their app accounts, and transactions are settled in dollars. More than 120,000 U.S. merchants currently offer Alipay through its partners. Chinese tourists can use their smartphones to pay at venues from LanYu Couture, a high-end boutique in New York’s Flatiron District, to VR World, a virtual reality arcade across the street from the Empire State Building. Even Central Park’s horse-drawn carriages will soon accept the Chinese mobile payments, according to Citcon regional manager Jean Kany. “I wanted to jump on this bandwagon as fast as I could, because it was a no-brainer,” said Jonathan Elkoubi, VR World’s senior director of business development. This means that for merchants, the advantages of accepting Alipay and WeChat Pay extend beyond facilitating transactions. While the apps may have begun as digital wallets, they have evolved into lifestyle apps, allowing users to book flights, rent bicycles, review restaurants and more. Users engage with the Alipay app as many as 15 times a day, according to the company. When a New York merchant accepts Alipay, the app’s geolocation-based “discover” function lets the merchant send out promotions via push notifications. The app also reveals the merchant’s location on a map along with a two-line blurb that it can edit. “I don’t have the bandwidth to have Chinese speakers on staff all the time, so that enables me to explain what we are so this place doesn’t get lost in translation,” Elkoubi said. 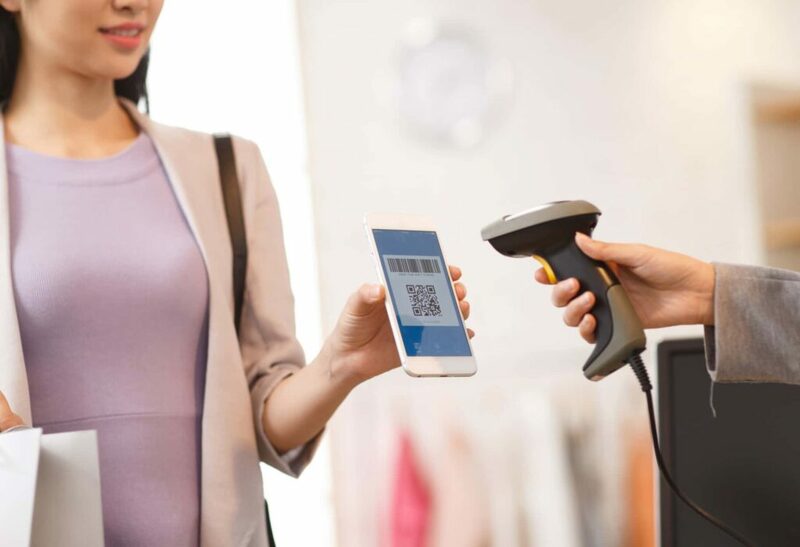 Since signing deals with Alipay and WeChat Pay in February, Citcon has partnered with more than 1,000 U.S. merchants, primarily in the retail and hospitality sectors. The company also worked with Stony Brook Village, located 60 miles from Manhattan on Long Island, to make the shopping hamlet the first community in the U.S. to accept Alipay and WeChat Pay. Huang said that Caesars Entertainment, a casino resort operator and Citcon client, initially launched these payments in 16 locations in August, and had planned a wider rollout early next year. But just a month after the pilot launch the company decided to roll the payments out to 89 more locations, including high-end restaurants, shops and box offices. At the entrances to Leez Department Store and the LanYu Couture boutique in Manhattan, signs in Chinese state that Alipay and WeChat Pay are accepted. A third of Leez customers are Chinese, and nearly all use the payment systems. Mr. Bing, a shop that sells jianbing — savory Chinese rolled crepes — in New York’s trendy East Village neighborhood, implemented Chinese mobile payments in October. Within two weeks, more people each day were coming to the store and using them, said owner and founder Brian Goldberg. 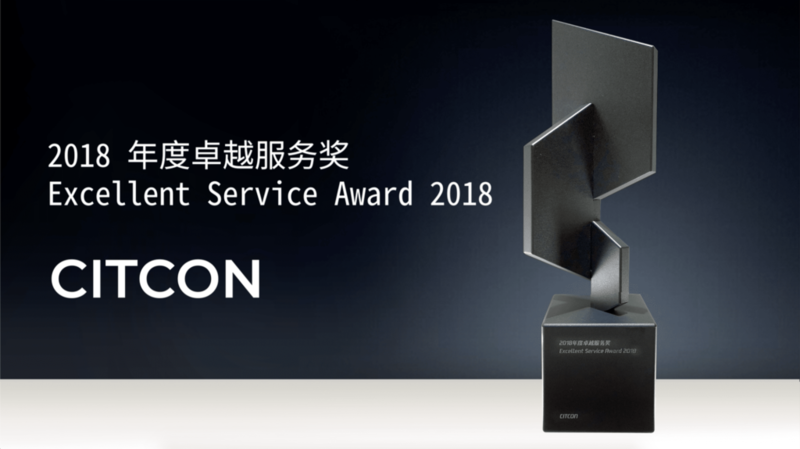 “Roughly 30% of our customer base is Chinese, so for them to be able to come to our stores and use WeChat Pay or Alipay — systems that they’re comfortable with — is important to making the customer experience smoother and easier,” he said. 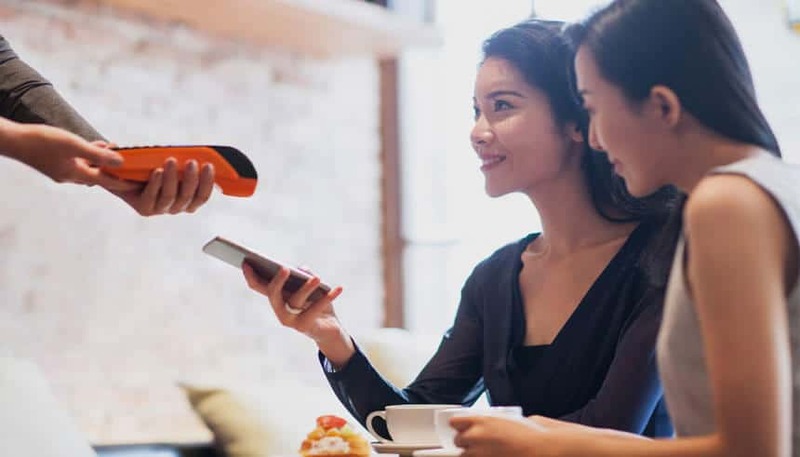 Along with expanding retail partnerships, Alipay plans to focus on adding travel services, aiming to guide consumer planning and purchasing decisions “pre-trip, mid-trip and post-trip,” said Badran, the North America president of Alipay. According to Badran, the average Chinese traveler starts planning for a trip 57 days in advance. Alipay’s goal, he said, is to act as “the Chinese traveler’s local guide to any foreign city” — facilitating discovery as well as payment. For merchants, however, the discovery aspects of these apps provide reasons to be nervous. With reviews fully integrated into the app, store and restaurant owners cannot simply cross their fingers and hope that visitors will not share feedback. “Obviously, if you’re not very reassured about what you’re offering, you don’t want to [offer these payments]. It can make or break a business very fast,” Elkoubi said.